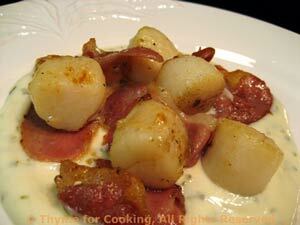 Seared Scallops on Tarragon Cream, Thyme for Cooking easy gourmet recipes. I love scallops, but they are rather expensive here, so I stretch them a bit with some dry-cured ham - also expensive, but a little goes a long way. 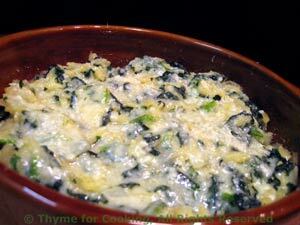 Use the aged goat cheese for this, or substitute Brie or Camembert. 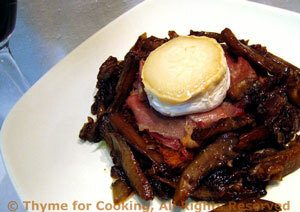 Try to get a variety of mushrooms, we'll be using them all week. Use whatever bread you have on hand... or none. Note: I've doubled the shallots; we'll sauté enough to use tomorrow night, as well. 2 medium shallots use 4 to make enough for tomorrow as well.